Founded in 2010 and based in Geneva, Cyrus is part of a group, owned by a wealthy Swiss family, which also includes Chronode, a well known manufacture of high-end mechanical movements which collaborates with several famous brands and is recognized for its capability to innovate. 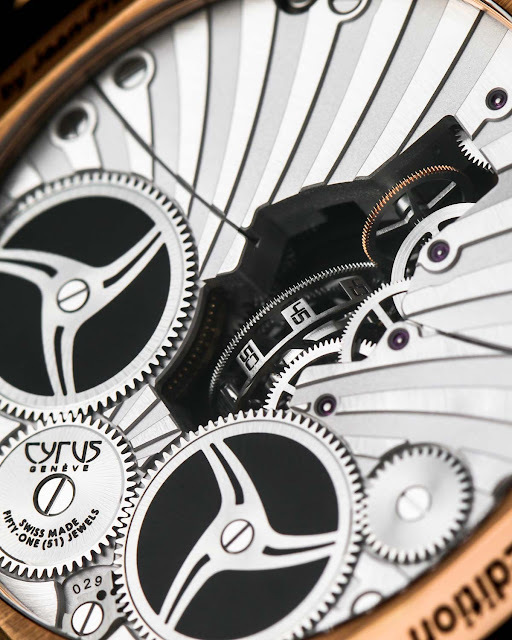 Thanks to this unique relationship and its independence, Cyrus can take advantage of the highest degree of freedom in designing new timepieces, something which is very rare in the modern watchmaking industry. 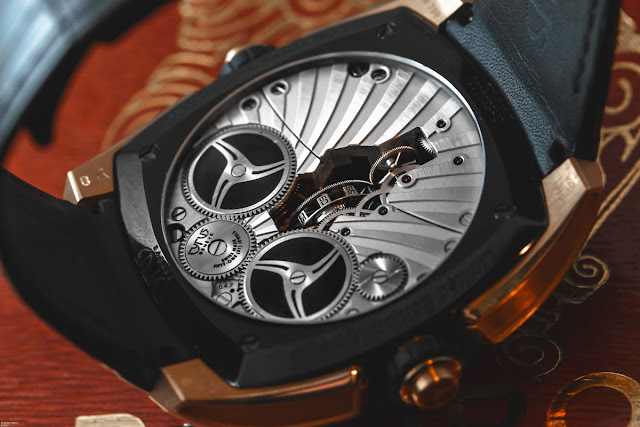 All movements equipping the Cyrus timepieces are exclusive to the brand and demonstrate the exceptional skills of the group of watchmakers led by Jean-Francois Mojon, largely considered as one of the most ingenious watchmakers of our time, winner of the 2010 Grand Prix de la Haute Horlogerie of Geneva as the best independent watchmaker and renowned for his collaboration with brands like MB&F, Harry Winston, HYT and others. 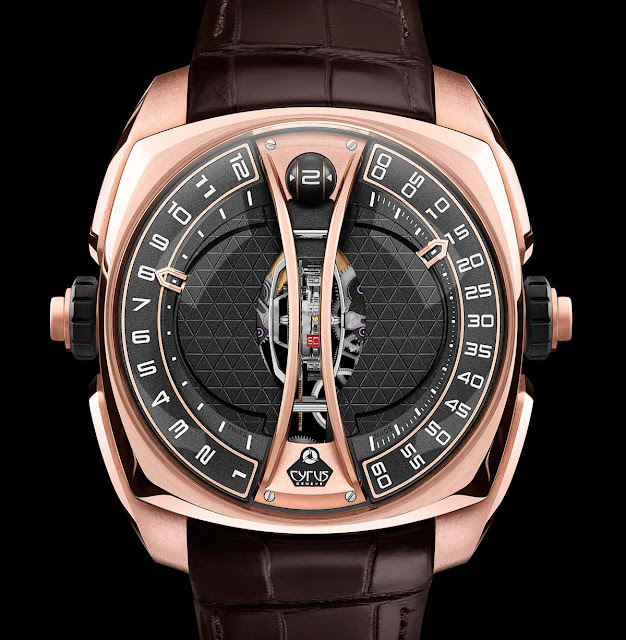 The latest creation from Cyrus well illustrates the desire and the capability of the brand to break conventions and explore new watchmaking possibilities. As its name suggests, the Cyrus Klepcys Vertical Tourbillon features a sophisticated tourbillon and place it in the middle of the dial on a vertical axis. This is a complete first in watchmaking. 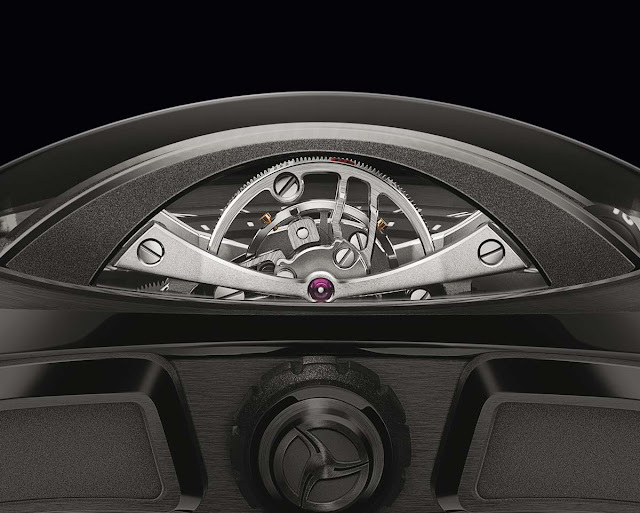 In fact, the tourbillon is usually positioned horizontally and at 6 o’clock. 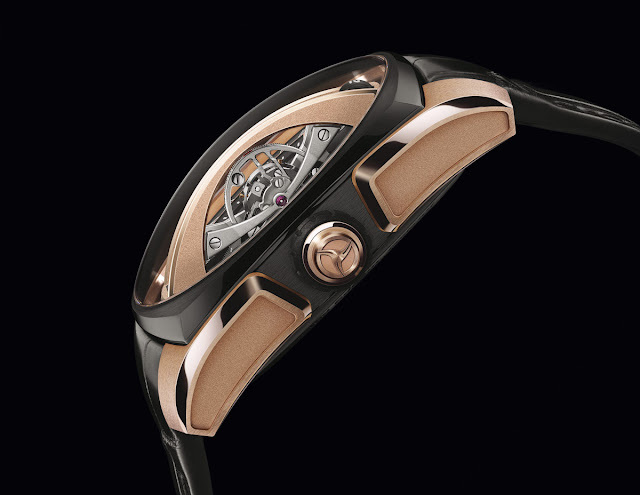 The solution is aesthetically attractive but the main reason for its adoption is a technical one. 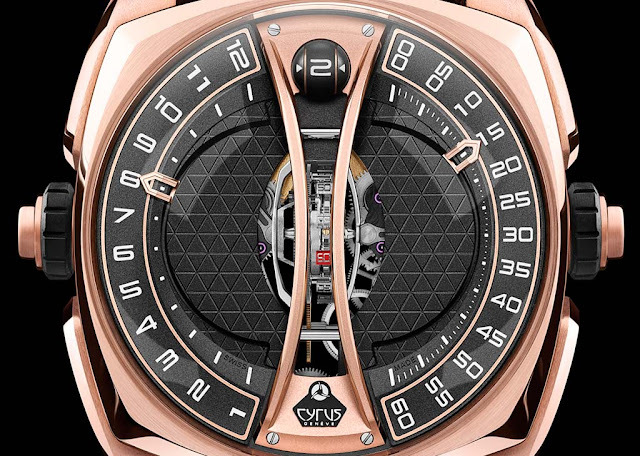 In fact, rigorous studies of the Cyrus engineering team revealed that the 90° angle of the tourbillon cage allows it to remain vertical for most of the time over the course of 24 hours. 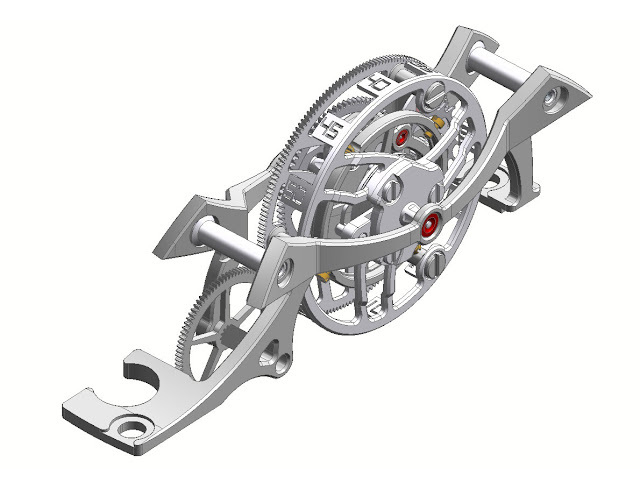 Positioned at this angle, the cage containing the regulating organ — composed by balance wheel, escapement and pallet fork — offsets the negative effects of gravity more effectively, thus improving the accuracy of the watch. 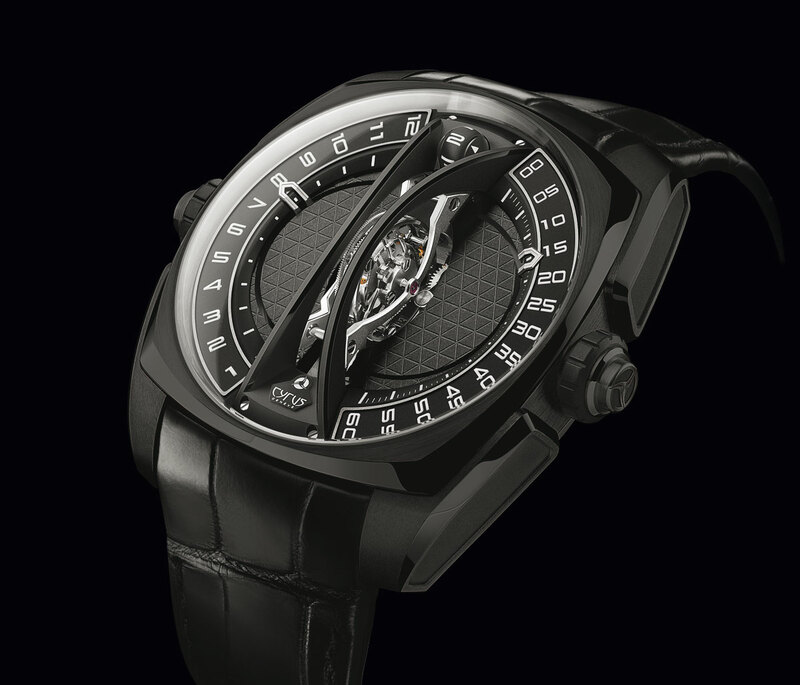 Even the dial indicates the time by means of two symmetrical displays: the left-pointer indicates the retrograde jumping hours in Arabic numerals while the one on the right reads off the sweeping retrograde minutes. 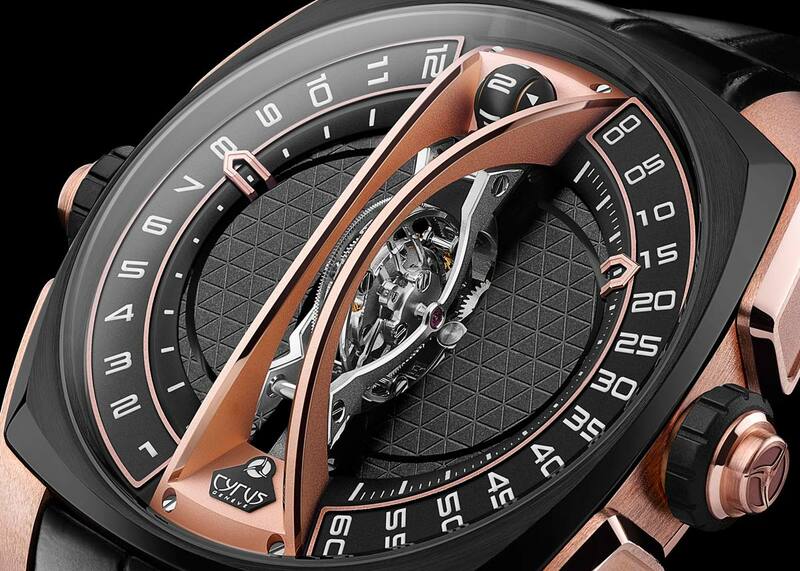 The seconds are displayed in the centre on a scale of 5, and can be read off the tourbillon cage thanks to small blocks engraved with Arabic numerals in white, with the exception of the “60 seconds” block which stands out for its bright red. 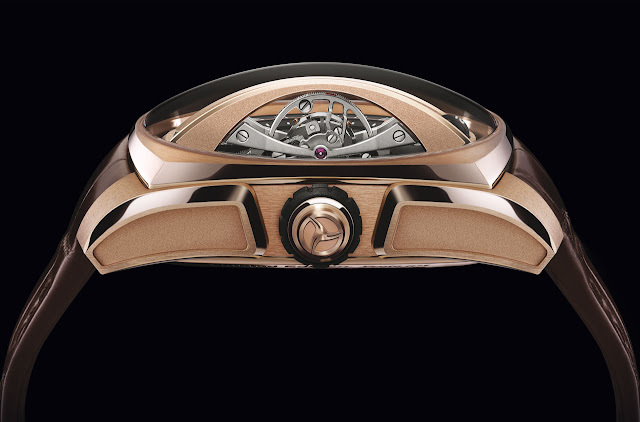 At 12 o’clock, between the two arches of the tourbillon bridge, a sphere with a diameter of 5 mm indicates the remaining power reserve, expressed in days. This element is visually balanced, in respect of symmetry, by the Cyrus logo at 6 o’clock. Created on a brass base finished with “microbillage” and treated with black DLC, the dial is decorated by a geometric pattern made of small raised triangles and protected by a domed sapphire crystal with anti-reflective treatment. Impressive watch. I would love to see some wristshots. Stay tuned and follow our social media channels for more on this soon. The latest watch from Cyrus is the Klepcys Vertical Tourbillon break conventions and explore new watchmaking possibilities. 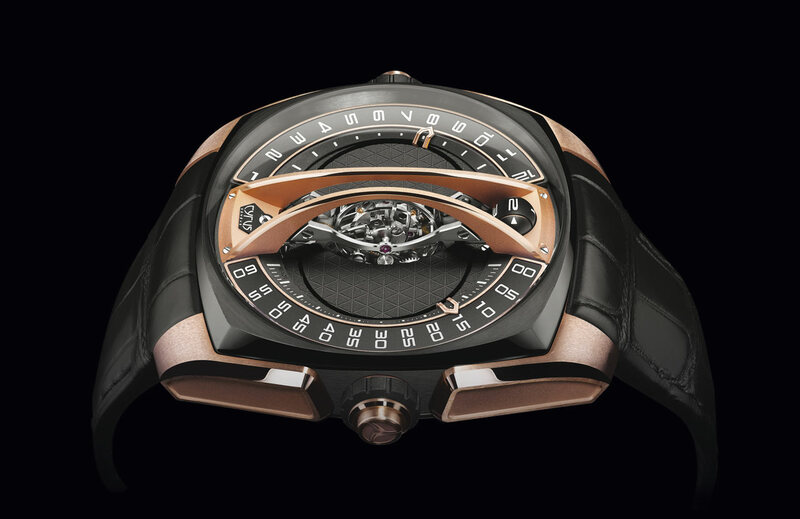 Cyrus is part of a group, owned by a wealthy Swiss family, which also includes Chronode. It is led by Jean-Francois Mojon.